Fans of Swedish metal band Meshuggah, we’ve got exciting news for you!! They’re heading back to North America early this year with Code Orange and Toothgrinder as support! 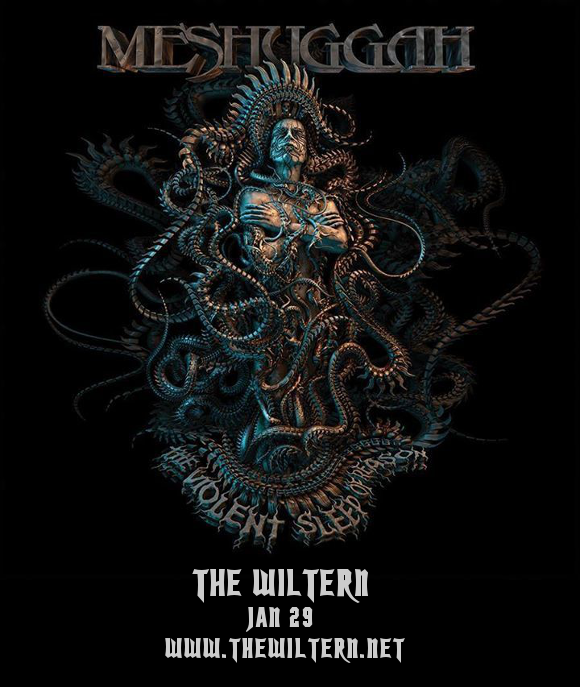 In support of their latest album, “The Violent Sleep Of Reason,” they’ll be headed to The Wiltern on Monday 29th January 2018! Don’t miss your chance to see this trio of metal heavyweights live – get your Meshuggah tickets early, before they go! Formed in 1987, Meshuggah first gained attention for their album “Destroy Erase Improve,” for the huge variety of genres spanned by the record, including thrash metal and jazz fusion!! Quickly developing a loyal underground following for their technical ability and the advanced musical complexity present in their work, Meshuggah have had a hugely important influence on shaping niche metal genres today, including that of djent. Don’t miss out on Meshuggah, Code Orange and Toothgrinder LIVE at The Wiltern – get your tickets today! !